Education-focused publishing house S Chand & Company Ltd elicited a blockbuster response for its initial public offering that ended on Friday. The New Delhi-based firm, which is backed by private equity firm Everstone Capital, attracted 60 times demand for the shares on offer. The firm joined stock exchange operator BSE Ltd, hypermarket chain operator Avenue Supermarts Ltd, FM radio company Music Broadcast Ltd and Shankara Buildings whose public offerings also received strong investor response. S Chand’s public offering of nearly 7.69 million shares—excluding anchor investors’ portion—received bids for 455.4 million shares, stock exchange data showed. The quota of shares reserved for institutional buyers was subscribed around 45 times while retail investors’ portion was covered close to six times. The portion set aside for non-institutional investors—such as corporate houses and wealthy individuals—was subscribed close to 205 times. S Chand’s IPO was covered nearly two times on the second day of the issue on Thursday. At the upper end of the Rs 660-670 per share price band, the company will have a valuation of Rs 2,325 crore. 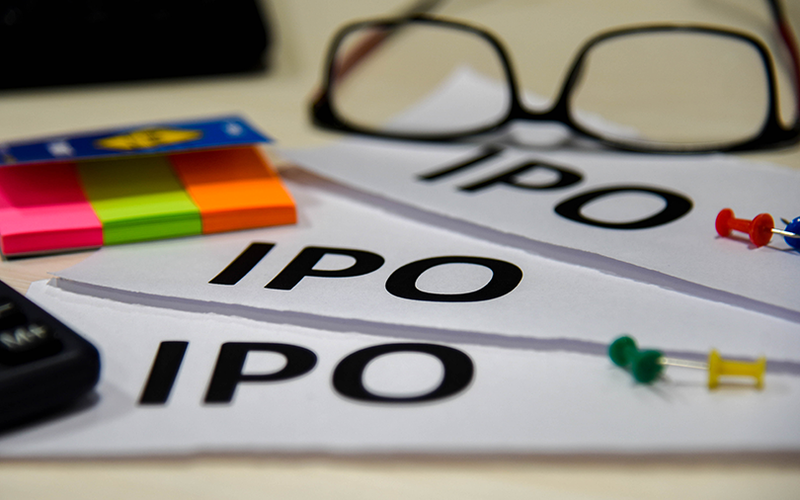 A day before the IPO opened, the firm raised Rs 219 crore (around $34 million) from anchor investors. S Chand had increased the size of its initial share sale as the Everstone Capital-backed company looked to benefit from a rise in stock markets this year. The firm is raising Rs 325 crore by issuing new shares, according to the red herring prospectus it filed with the Securities and Exchange Board of India (SEBI). It had earlier targeted to mop up Rs 300 crore. The IPO also includes an offer for sale of about 6 million shares by Everstone and other shareholders, including the promoters. The selling shareholders will mobilise up to Rs 403 crore. The IPO comes barely months after S Chand made one of the largest acquisitions in India’s education-related publishing segment. It picked up a majority stake at an enterprise value of Rs 220 crore in Kolkata-based Chhaya Prakashani Pvt. Ltd, which publishes books for schools students of up to 12th standard (K-12) as well as college and engineering students. S Chand, which is also backed by International Finance Corporation, had filed its draft red herring prospectus with SEBI on 19 December. It received SEBI’s clearance last month. It became the sixth company to float its IPO this year. Close to a dozen other firms also received regulatory approval to float an IPO this year. In addition, around 10 firms have sought clearance from SEBI to go public. 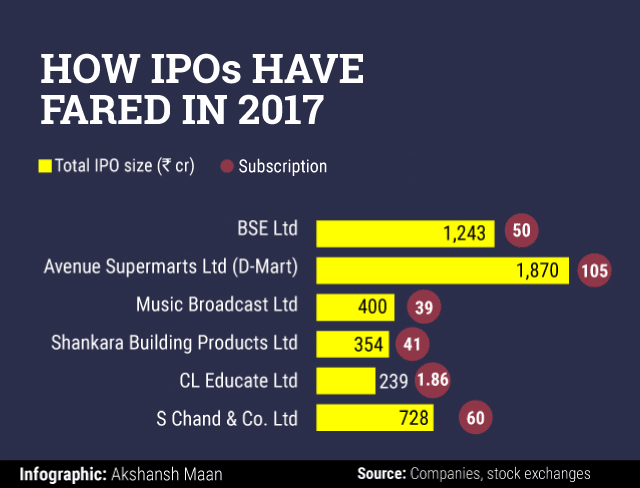 The five other companies that floated public issues this year have raised a little more than Rs 4,100 crore, extending the good run for IPOs after a blockbuster 2016 when fundraising by firms through initial share sale jumped to a six-year high of Rs 26,500 crore. The IPO market in India picked up pace after four years of slow activity in mid-2014 when the BJP-led government took over. In 2015, 21 companies had raised about Rs 14,000 crore, as per stock exchange data.